Not to long ago, Samsung launched the Galaxy A3 and A5 handset, which features a similar design factor as the Galaxy Alpha with a beautiful, premium metal design. Recently, Samsung Galaxy A5 with dual-SIM support was spotted on the company’s website in China, a feature which is very popular in emerging markets. At the time of launch, Samsung didn’t go into detail about dual-SIM support for the handset, but now we know it may launch in other markets as well, especially developing ones like India and China. 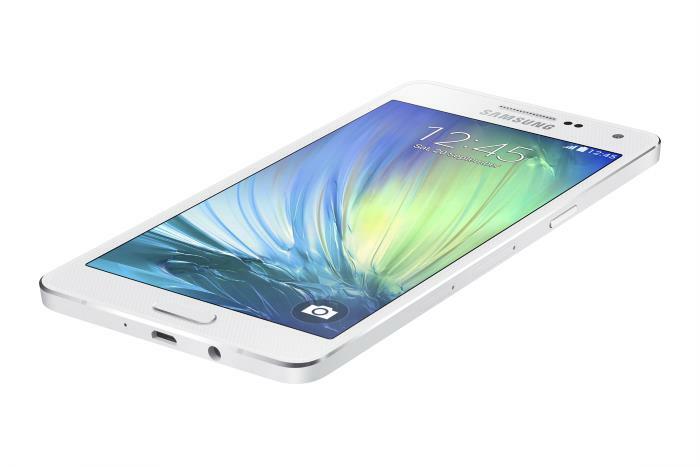 Samsung Galaxy A5 comes with a 5-inch Super AMOLED display with a resolution of 1280 by 720 pixels, and is powered by a quad-core processor clocked at 1.2GHz. The handset also features 2GB of RAM and 16GB of internal storage coupled with a microSD card support of up to 64GB should you ever need more storage. On the rear, there’s a 13MP camera with autofocus, as well as a 5MP front-facing camera. Other features include 4G connectivity, Ultra Power Saving Mode, Wi-Fi: 802.11 a/b/g/n, Bluetooth 4.0, NFC, a 2,300 mAh battery and runs Android 4.4 KitKat as its operating system out of the box. There’s no word about the pricing of the handset, but we’ll update you as soon it’s released.